A record number of scrapbookers were on hand once again for the “Birthday Bash” weekend at Boone County Fairgrounds, Nov. 6-8. A total of 240 persons attended the fourth annual event sponsored by Scrapbook Paradise. 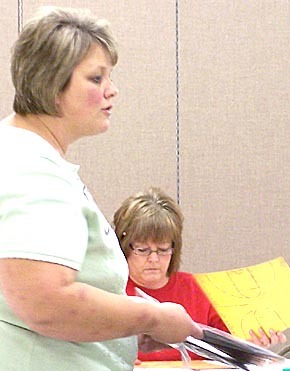 In the above photo, Missy Wiese teaches one of the many scrapbooking classes, and one of the students is Denise Cook of Albion.